Mehedi Hasan Palash and Sahila Majumder Nidhi runner up as face of Bangladesh Maruf Rahman and Shirin Sheela are the champions. Then the name of Mansi Kanta government was declared as the fifth winner. Apart from this, Nayeema Khandakar, Sahila Majumder Nidhi, Shahriar Tanvir, Shirin Sheela and Maruf Rahman were awarded $ 4,440 for the sponsoring organizations. Citizen Television Chief Executive Abdun Noor Tushar gave the welcome address at the beginning of the program. He said, "In the coming days, Bangladesh will surpass the boundaries of its achievement." That's not just economic, from all sides. Those who go to Seoul through this competition, they will present Bangladesh's fashion industry. Showcase their history, heritage and culture with all countries. Hope this competition will take Bangladesh's fashion industry to another level. "I welcome cultural exchange of the two countries in the process of taking models from Bangladesh through this competition," said E Shi Young, chairman of Asia Model Festival of Korea. Speaking on the occasion, citizen televised chairman Rubana Haque said. In the speech, he recalled the dead in the Ranaplaza accident. In connection with this initiative of Face of Bangladesh, he said that we will welcome any initiative for branding Bangladesh in the world court. She said beauty does not come only from the beautiful skin made by makeup, beauty belongs to humanity. At the ceremony, the civilization and his team, Jeffar, Phiroz Dancing Puja Sengupta Raheen and Jisnu play the song 'C' in guitar and saxophone. 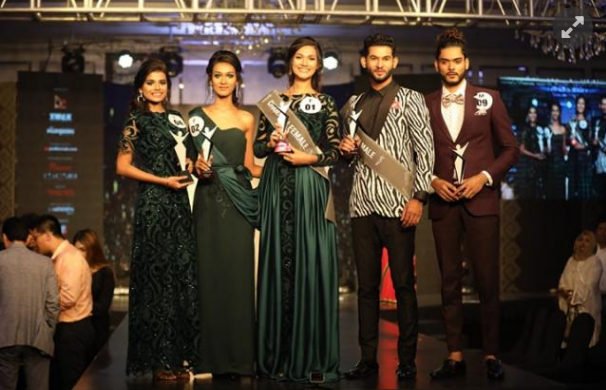 'Face of Bangladesh 2019' has been organized to ensure the presence of Bangladeshi models in the world and fashion world modeling. The round five rounds of the country's top five models are set in rounds. The contestants seized their number from local and foreign judges by examining their own talent, beauty and fashion consciousness. The five contestants will go to South Korea. Walk on the main episode of the 14th edition of 'Asia Model Festival' organized on the ramp. More than 100 contestants from 27 countries in Asia will join. Bangladesh's first global platform 'Face of Bangladesh' to highlight the young generation of Bangladesh in the world fashion and modeling world. The organization is hosting the company CrossWalk Communication, Citizen's Television and Korea Company Corban Company Limited. On this occasion, the judge was poet and fictionist Anisul Huq, the artistic expert Kaniz Almas Khan, Chief of the Citizen Television, Abdun Noor Tushar, and Korean Uji Yong, Mundai Jing and Ansu King. Crosswac Communication, host of the tournament in Bangladesh. 'Face of Bangladesh 2019' is in collaboration with Prothom Alo.com, Persona, Canvas, Meridian and Radio ABC. Easter Sunday special festival was held in Saint-Sebastian's church in Negombo, Sri Lanka. Many religious people have already reached the place there. Dilip Fernando goes to the church with the family at around 7:30 in the morning. They were late for a while. Seeing the crowd quite crowded. Dilip decided to go to another church after seeing so many people. He has been rescued by his family. The explosion happened shortly after leaving. On Sunday, there were three major incidents of blast in three churches and three hotels in Sri Lanka. At least 290 people were killed. When Dilip and his wife leave, the other members of his family decide to leave. Dilip also had two grandchildren. They were not sitting there waiting to sit outside the church. At that time they saw a young man. Inside the church with a very heavy bag. They believe that these youths carried out suicide attacks. The gentle-looking young man put his hands on Dilip's grandson's head to go. The explosion occurred almost immediately after he entered. After the explosion, Dilip's family members escaped. Everyone was very scared. Call Dilip about the incident by phone. Criticizing the government, Dilip said, the government had no such steps to get the fear of the attack. The attackers are not local or international? Seven suicide bombers participated in a series of bomb attacks in Sri Lanka. On Monday, a senior investigative officer in the country gave the information. AFP quoted the country's cabinet spokesman Rajitha Senaratna as saying that local militant Islamist group National Towhid Jamaat (NTJ) was involved in the attack. Investigation is going on, whether any international group has helped them. Reuters also quoted Senaratna as saying that the attacks involved international networks. Local teams can not attack this way. 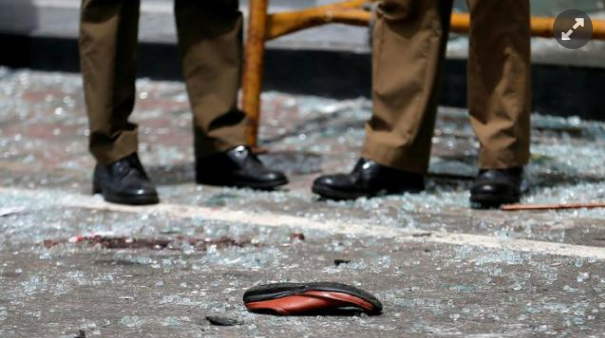 AFP reported that Sri Lankan cabinet spokesman Rajitha Senaratne said that the country's government thinks that the local extremist Islamist group NTJ is involved in a deadly suicide attack. The government investigation is going on whether the international community has supported or cooperated with NTJ. According to Reuters, Senaratne said, "We do not believe any group inside the country has carried out this attack. The attacks involved international networks. Without such an international network, such attacks would not have been successful. AFP said Sri Lanka's police chief warned about the April 11 attack. 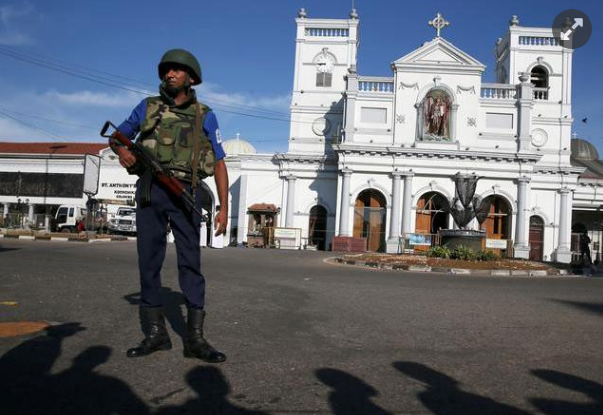 It is said by the Foreign Intelligence Agency, that the extremist Islamist group is plotting to attack NTJ churches and the Indian High Commission in Sri Lanka. A source in the police told AFP that 24 members of the extremist group detained after the attack were members of the extremist group. There was no specific information about this. 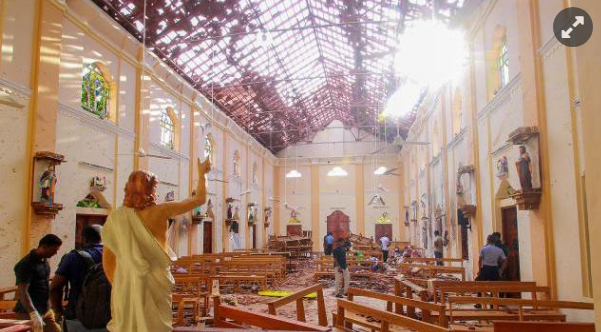 In the Sri Lankan church and the hotel, 290 people were killed in a terrorist attack. In addition, hundreds of people were injured. The incident took place on Sunday morning. Media reports said eight blasts occurred. The blast occurred in Negombo, Batikula and Kochchikad. It also had three luxury hotels in the capital Colombo. Earlier, in March 2018, Buddhists carried out mosques, Muslim establishments and houses in the country. The attack was mainly targeted by the country's 1.5 million Christians. The blasts occur one after the other. But there were fewer intervals between the two explosions. As a result, one group of attackers could not warn others. Around 200 church morcha National Christian Evangelical Alliance They said, about 86 incidents of violence and violence last year have occurred against Christians. Colombo's hotel attack has been targeted by people who travel to Sri Lanka. This attack reminds the Mumbai attacks of 2008 in India. The attacks were targeted in luxury hotels, busy railway stations and Jewish provinces. According to the intelligence report of India, there was no attack on Mumbai to increase the number of casualties. Foreign tourists were also aiming at attracting the attention of international media. Later India identified the Pakistan-based Lashkar-e-Taiba as the attack. But there is a difference of Sunday's attack against the Mumbai attacks. In Sri Lanka several attacks were carried out, and India was attacked only in Mumbai. Sri Lanka has a long history of communal violence But it is not clear, whether the repetition of history has happened. Liberation Tigers of Tamil Eelam (LTTE) was formed in 1976 by armed groups of Tamils ​​freedom fighters. Later, they attacked the police and the army. In 1997, the US State Department gave the order for LTTE terrorist organization. The civil war ended in 2009. According to the UN, nearly 40,000 civilians were killed in the last part of the civil war. But communal tensions grew again last year. Especially because of Buddhist attacks on Muslims, it has increased. Earlier in 2016, the government had said that 32 Sri Lankan joined the IS. Islamic State (IS) has claimed responsibility for the horrific terrorist attack in Sri Lanka. Today the responsibility of the attack from the IS spokesman Amak was accepted on Tuesday. However, there is no evidence to support the claim of IS. The news agency Reuters reports confirmed the responsibility of the attack on IS. Earlier, the US intelligence agency claimed that there was a similar kind of attack on the type of attack in Sri Lanka. 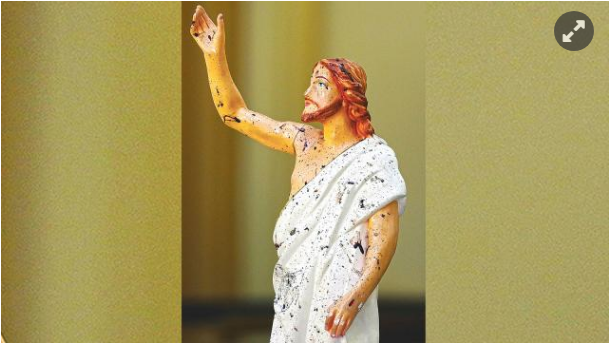 On Tuesday morning, State Minister for Defense Ryan Bijewardene said that one bomb blast was carried out during the celebration of Easter Sunday in Sri Lanka to revenge the shooting of a Christchurch mosque in New Zealand. Two Islamic groups of Sri Lanka are associated with the attack, he said. Before the attack, an intelligence agency has said that a member of the terrorist group started posting extremist topics in his social networking account. Experts on terrorism say that there is a need for some months in preparation for the preparation of such deep and complex attacks. There are also issues related to suicide, and explosive tests. On Sunday, one bomb attack was carried out in three churches and three hotels while praying on Easter Sunday. Then there were two more attacks. In this attack 321 people were killed and more than 500 people were injured. Of these 38 foreigners are foreigners. Indian intelligence forces warned the country's intelligence agency at least two hours before the horrific bombing in Sri Lanka. Quoting a source from the Indian government, the NDTV news reports said Sri Lanka was warned in advance of the attack. It is said in the report that Sri Lanka was warned on April 4 and 20 April for two days on the attack. Without mentioning anyone's name in the report, an official of the Indian intelligence agency and an officer in Sri Lanka's security forces has said that officials of the Indian intelligence agency contacted Sri Lankan officials with their rank and said they had a precautionary warning. Another Sri Lankan security official said there was a warning earlier than an hour ago. Another official said that India warned of potential attacks on Saturday night before the attack. However, Sri Lankan police chief Pujush Jayasundara had said that he would warn the country's top officials about 10 days before such an incident could happen. Although no warnings came in the end. Islamic State (IS) has claimed responsibility for the horrific terrorist attack in Sri Lanka. On Tuesday, the IS spokesman Amak was charged with assault. However, there is no evidence to support the claim of IS. The news agency Reuters reports confirmed the responsibility of the attack on IS. Earlier, the US intelligence agency claimed that there was a similar kind of attack on the type of attack in Sri Lanka. 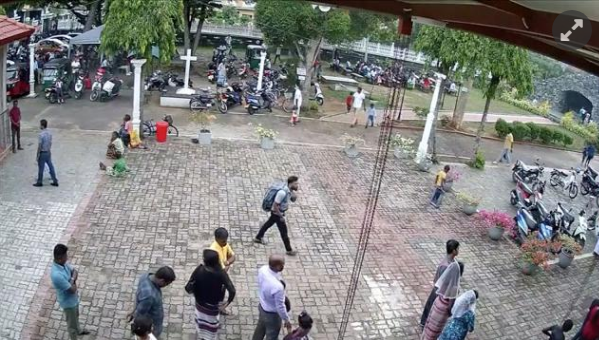 On Tuesday morning, State Minister for Defense Ryan Bijewardene said that one bomb blast was carried out during the celebration of Easter Sunday in Sri Lanka to revenge the shooting of a Christchurch mosque in New Zealand. Two Islamic groups of Sri Lanka are associated with the attack, he said. The Supreme Court has dismissed the appeal petition against the reprieve of two journalists in Myanmar. Those two journalists were sentenced to seven years imprisonment for breaking the official privacy law. This phenomenon, discussed, questioned the move to change Myanmar's democracy path. 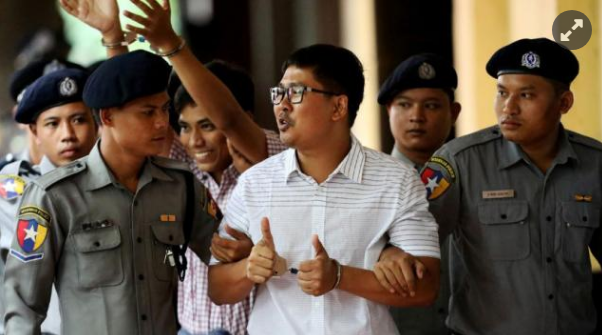 Today's news agency Reuters reported that Naypyodaya Supreme Court Judge So Thong rejected the appeal of two journalists, saying they had been sentenced to seven years in prison, their decision was rejected, their appeal was dismissed. Two journalists were not present in court hearing today. In December of 2007, Wai Lone (33) and Kia Saw Oook (29), two Reuters journalists were arrested while investigating the murder of 10 Rohingya men and boys. They have been in prison for more than 16 months. Report of the involvement, involvement of the army and the looting of the two Rohingya journalists, won the Pulitzer Prize last week. On behalf of the two journalists, their lawyers said in the application that there is lack of evidence and evidence of crime happening on the police. In the Rakhine state, they collected some documents and documents during the gathering of the country's oppression of the Rohingya Muslims. They were detained at a dinner hosted by the police on the outskirts of the city of Yangon. Yangon District Judge Court sentenced two journalists to seven years imprisonment in September last year for violating the state secret law. In January this year, the Yangon High Court upheld the appeal of the two journalists. Meanwhile, the government spokesman was asked to comment on this, but he did not respond. Swechchhasebak League leader cut the leg of the worker!